 CT Study Stratifies Death Risk of Coronary Artery Disease - ONRAD, Inc.
DiagnosticImaging | A study assessing CT angiographs of nearly 25,000 patients presumed to be free of coronary artery disease (CAD) has shown both obstructive and nonobstructive forms of the disease to increase the risk of death. The study, published August 16 in the Journal of the American College of Cardiology, used data from CONFIRM (Coronary CT Angiography Evaluation for Clinical Outcomes: An International Multicenter Registry). The cohort included 24,775 patients from 12 centers, average age 57. From 2005 to 2009, all underwent noninvasive imaging with coronary computed tomography angiography (CCTA). Researches led by radiologist James K. Min, MD, of Cedars-Sinai Medical Center in Los Angeles, Calif., followed up 2.3 years after the patients’ CT angiographs. At that point, 404 of the patients had died of various causes. Min and colleagues found that patients who indeed had been healthy — that is, no discernable CAD in CT angiographs — had a low annualized death rate of 0.28 percent. Those with nonobstructive and obstructive CAD fared worse. Those with nonobstructive CAD had hazard ratios averaging 1.62 (that is, a risk of death 62 percent higher than healthy controls in the 2.3-year time frame assessed). Those with one obstructed vessel had a hazard ratio (HR) of 2.0, those with two obstructed vessels 2.92, and those with three obstructed vessels 3.70. Min and colleagues also found that patients younger than 65 years old had higher death rates for two- and three-vessel obstructive CAD, possibly because of more aggressive forms of atherosclerosis. Also, the study found that women with three-vessel obstructions faced more serious risk than men. “That coronary CT angiography can effectively risk stratify individuals without known CAD should be invaluable for guiding the development of clinical practice guidelines and appropriate use criteria,” the authors concluded.